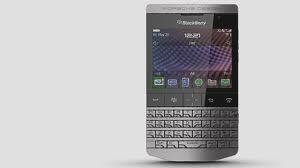 TORONTO – BlackBerry-maker Research in Motion has hired a team of bankers to help it weigh its options as its business erodes in the face of an exodus to the iPhone and Android smartphones. RIM issued a dire warning about its business Tuesday, saying it is losing money for the second-consecutive quarter and will have to lay off a "significant" number of employees. The company based in Waterloo, Ontario, said it has hired J.P. Morgan and RBC Capital Markets to help it evaluate its options. Those including partnering with other companies, licensing software and overhauling its business, it said. RIM's stock fell 7%, or 80 cents, to $10.43 in extended trading following the release of the company's statement. Before Tuesday's announcement, the stock had lost almost 75% in the last year. The company that pioneered the smartphone market with its BlackBerry phones is facing the most difficult period in its history. RIM's U.S. share of smartphones dropped from 44% in 2009 to 10 percent in 2011, according to market researcher NPD Group.